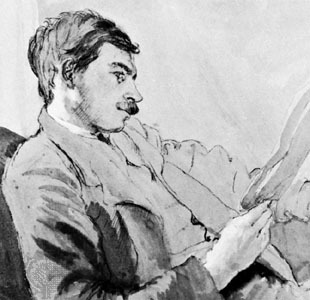 With an almost religious conviction many neoclassical economists seem to still think of modern market economies as being in a blissful state of stable equilibrium. How that is even conceivable today – in the fifth year of the latest economic and financial crises that started back in 2008 – is really beyond my wildest imagination. And it was also beyond the imagination of Dan Kervick, who last week wrote an interesting article – Shamanistc Economics – lambasting neoclassical economists for this unfounded theoretical assumption. You guys in economics are supposed to be empirical scienctists, not philosophers. You are supposed to develop the a priori elements of your science only so that you can produce empirically testable models of the real world, and then bring those models to bear on the world we actually live in. 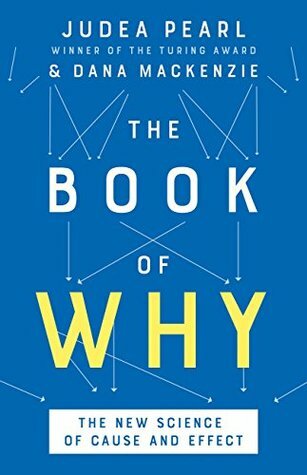 You are also supposed to help develop techniques that are relevant to decision-making and govenment policy in having predictable outcomes. You need to map the terrain of the actual world in detail, so you can help others navigate through it. To the extent you want to give policy advice that deserves to be taken seriously, your focus needs to be on contingent reality, not a priori possibility. 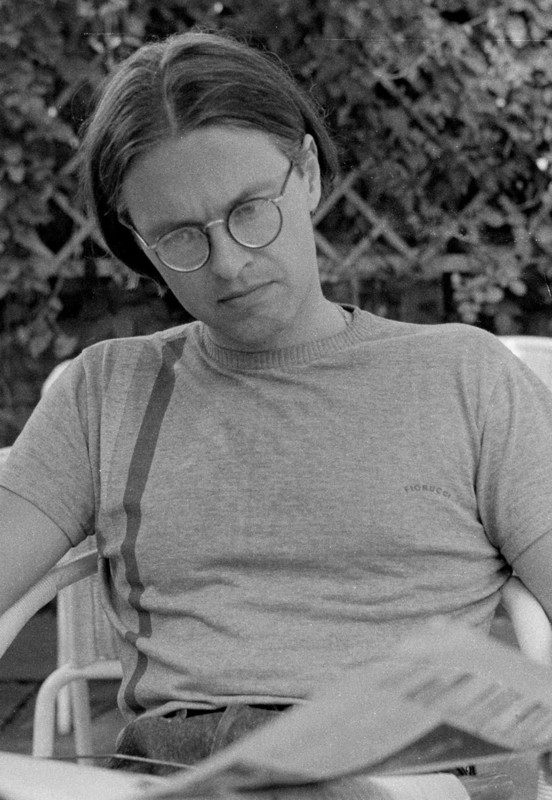 My criticism is that an awful lot of the policy advice we are getting lately is from theorists who are lost in the clouds of a priori models, and who don’t have a clear understanding of the structure of the actual economic order we live in, based on the functioning of actual, highly contingent and specific economic and political institutions. If you are trying to navigate your way through a mountain range, you don’t ask a geologist; you ask a guide who has explored the mountain range in detail. If the guide has geological knowledge that can definitely help, but the geological knowledge itself is not sufficient to guide people through the terrain. If you want to fix a broken airplane engine, you don’t ask a theoretical thermodynamicist, you ask an engineer. The engineer’s knowledge of thermodynamics can help, but the thermodynamical knowledge itself is not sufficient to know how to fix an airplane engine. It is not enough for you to desciibe logically coherent possible worlds with possible sets of beliefs about possible equilibria and possible time paths to those equilibria, where possible statements, and possible ections have possible effects as a result. You need to show we live in such a world – and this is a task for which you don’t seem to have much patience. When challenged on the score of institutional facts, you have repeatedly retreated back into the contruction of other models and thought experiments. We do know that – under very restrictive assumptions – equilibria do exist, are unique and are Pareto-efficient. 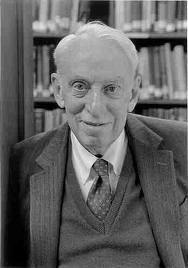 But after reading Franklin M. Fisher‘s masterly article The stability of general equilibrium – what do we know and why is it important? one has to ask oneself – what good does that do? 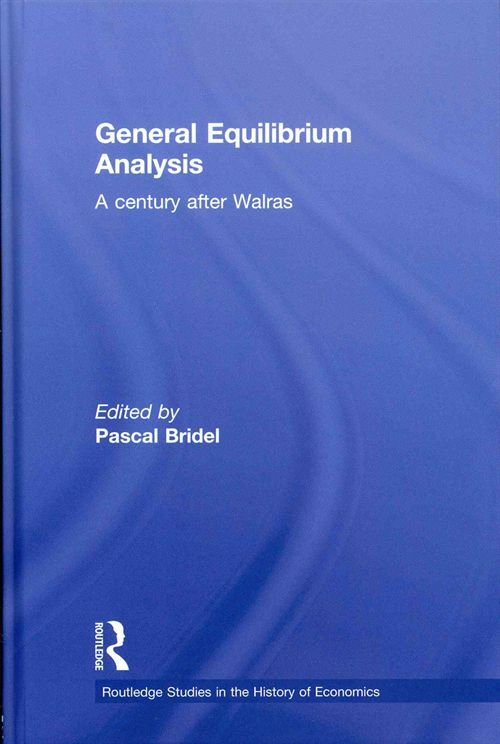 As long as we cannot show, except under exceedingly special assumptions, that there are convincing reasons to suppose there are forces which lead economies to equilibria – the value of general equilibrium theory is nil. As long as we can not really demonstrate that there are forces operating – under reasonable, relevant and at least mildly realistic conditions – at moving markets to equilibria, there can not really be any sustainable reason for anyone to pay any interest or attention to this theory. Continuing to model a world full of agents behaving as economists – ”often wrong, but never uncertain” – and still not being able to show that the system under reasonable assumptions converges to equilibrium (or simply assume the problem away), is a gross misallocation of intellectual resources and time. Even if epistemology is important and interesting in itself, it ought never be anything but secondary in science, since the primary questions asked have too be ontological. First after having asked questions about ontology can we start thinking about what and how we can know anything about the world. If we do that, I think it is more or less necessary also to be more critical of the reasoning by modelling that has come to be considered the only and right way to reason in mainstream economics for more tham 50 years now. Årets upplaga av OECD:s Education at a Glance är ingen rolig läsning för svenska lärare. Svenska lärare tjänar i snitt 42 000 kronor mindre om året än OECD-genomsnittet. 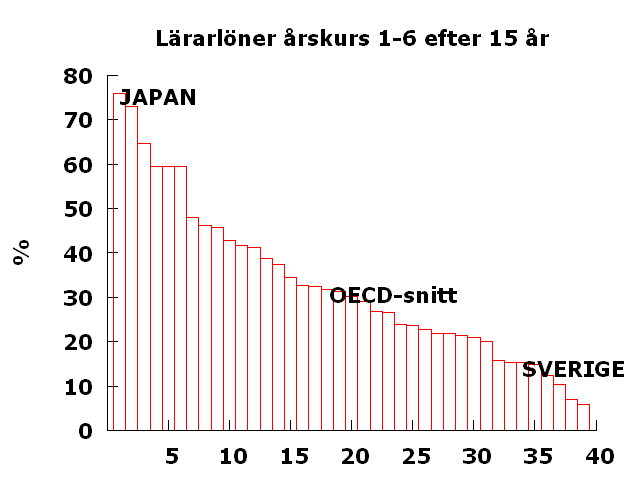 Under perioden 2000-2010 ökade lärarlönerna i Sverige i snitt med 8% och i OECD med 22%. For the benefit of those who still haven’t found their way to Jan Garbarek – here’s a couple of his masterpieces! 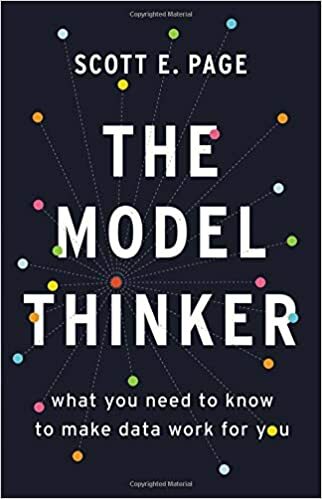 It may help to clarify my account of modelling as a double method of enquiry in economics if we compare it with two of the other reasoning styles … the method of mathematical postulation and proof and the method of laboratory experiment. The experiments made on models are different from the experiments made in the laboratory … because model experiments are less powerful as an epistemic genre. It does make a difference to the power and scope of inference that the model experiment is carried out on a pen-and-paper represenation, that is on the world in the model, not on the world itself. Now, I think it is but fair to say that field experiments, model experiments and laboratory experiments, are basically facing the same problems in terms of generalizability and external validity. They all have the same basic problem – they are built on rather artificial conditions and have difficulties with the trade-off between internal and external validity. The more artificial conditions, the more internal validity, but also less external validity. The more we rig experiments/field studies/models to avoid confounding, the less the conditions are reminicent of the real target system. The nodal issue is how economists using different isolation strategies in different nomological machines attempt to learn about causal relationships. By contrast with Morgan, I would more explicitly and forcefully argue that the generalizability of all these research strategies – because the probability is high that causal mechanisms are different in different contexts and the lack of homogeneity/stability/invariance – doesn’t give us warranted export licenses to the real target system. Assume that you have examined how the performance of A is affected by B (treatment). How can we extrapolate/generalize to new samples outside the original population? How do we know that any replication attempt succeeds? How do we know when these replicated experimental results can be said to justify inferences made in samples from the original population? If, for example, P(A|B) is the conditional density function for the original sample, and we are interested in doing a extrapolative prediction of E [P(A|B)], how can we know that the new sample’s density function is identical with the original? Unless we can give some really good argument for this being the case, inferences built on P(A|B) is not really saying anything on that of the target system’s P*(A|B). As I see it is, this is the heart of the matter. 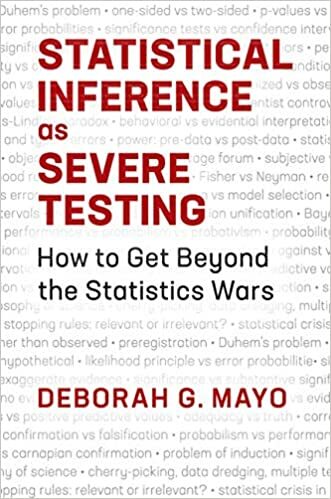 External validity/extrapolation/generalization is founded on the assumption that we could make inferences based on P(A|B) that is exportable to other populations for which P*(A|B) applies. Sure, if one can convincingly show that P and P* are similar enough, the problems are perhaps surmountable. But arbitrarily just introducing functional specification restrictions of the type invariance/stability/homogeneity, is, at least for an epistemological realist far from satisfactory. 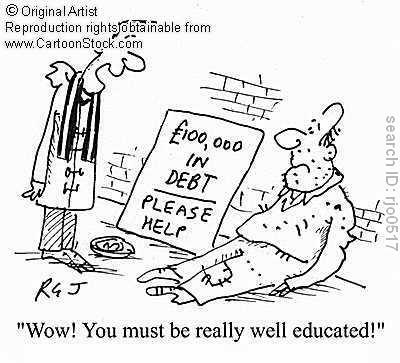 And often it is – unfortunately – exactly this that I see when I take part of neoclassical economists’ models/laboratory experiments/field studies. By this I do not mean to say that empirical methods per se are so problematic that they can never be used. On the contrary, I am basically – though not without reservations – in favour of the increased use of laboratory experiments and field studies within economics. Not least as an alternative to completely barren ”bridge-less” axiomatic-deductive theory models. My criticism is more about aspiration levels and what we believe that we can achieve with our mediational epistemological tools and methods in the social sciences. Many laboratory experimentalists claim that it is easy to replicate experiments under different conditions and therefore a fortiori easy to test the robustness of experimental results. But is it really that easy? If in the example given above, we run a test and find that our predictions were not correct – what can we conclude? That B works in X but not in Y? That B worked in the field study conducted in year Z but not in year W? Population selection is almost never simple. Had the problem of external validity only been about inference from sample to population, this would be no critical problem. But the really interesting inferences are those we try to make from specific laboratory experiments/fields to specific real world situations/institutions/structures that we are interested in understanding or (causally) to explain. And then the population problem is more difficult to tackle. Nowadays many economists are in for randomized experiments. 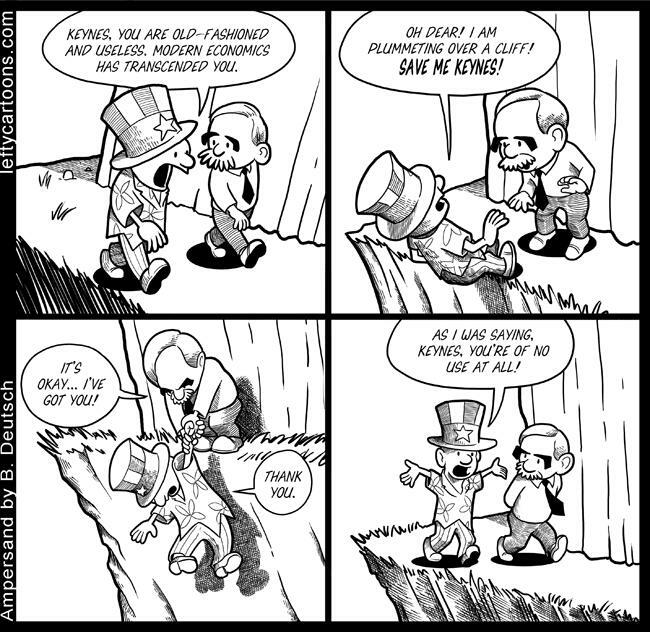 But just as most other methods used within neoclassical economics, randomization is basically a deductive method – or as Morgan calls it, ”a deductive mode of manipulation”. Given the assumptions (such as manipulability, transitivity, separability, additivity, linearity etc) these methods deliver deductive inferences. The problem, of course, is that we will never completely know when the assumptions are right. Real target systems are seldom epistemically isomorphic to our axiomatic-deductive models/systems, and even if they were, we still have to argue for the external validity of the conclusions reached from within these epistemically convenient models/systems. Causal evidence generated by randomization procedures may be valid in laboratory models, but what we usually are interested in, is causal evidence in the real target system we happen to live in. Ideally controlled laboratory experiments (still the benchmark even for natural and quasi experiments) tell us with certainty what causes what effects – but only given the right “closures”. Making appropriate extrapolations from (ideal, accidental, natural or quasi) experiments to different settings, populations or target systems, is not easy. It works there is no evidence for it will work here. Causes deduced in a laboratory experiment still have to show that they come with an export-warrant to the target population/system. The causal background assumptions made have to be justified, and without licenses to export, the value of “rigorous” and “precise” methods is despairingly small. Most neoclassical economists want to have deductively automated answers to fundamental causal questions. But to apply “thin” methods we have to have “thick” background knowledge of what’s going on in the real world, and not in (ideally controlled randomized) laboratory experiments or ”models experiment”. Conclusions can only be as certain as their premises – and that also goes for methods based on laboratory experiments. Morgan’s new book – and especially those carefully selected case studies presented – is an important contribution to the history of economics in general, and more specifically to our understanding of how mainstream economics has become a totally model-based discipline. However, I haven’t – as you may have surmised – read it without objections. 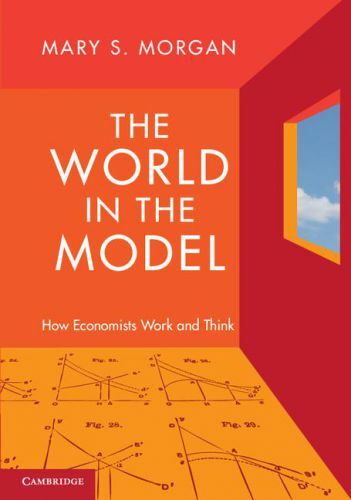 In her description of how economists have used – and are using – these ”reasoning tools” that we call models, Morgan puts to much emphasis – at least for my taste – on modelling as an epistemic genre of ”reasoning to gain knowlege about the economic world”. Even if epistemology is important and interesting in itself, it ought never be anything but secondary in science, since the primary questions asked have too be ontological. First after having asked questions about ontology can we start thinking about what and how we can know anything about the world. If we do that, I think it is more or less necessary also to be more critical of the reasoning by modelling that has come to be considered the only and right way to reason in mainstream economics for more tham 50 years now. In a way it is rather symptomatic of the whole book that when Morgan gets in the the all-important question of external validity in isolationist closed economic models, she most often halts at posing the question as ”if those elements can be treated in isolation” and noting that this aspect of models is ”much more difficult to charcterize than the way economists use models to investigate their ideas and theories”. Absolutely! But this doesn’t make model reasonings as ”objects to enquire” into activities that from a scientific point of view are on a par with the much more important question if these models really have export-certificates or not. I think many readers of the book would have found it even more interesting to read if they would get more of argued and critical evaluations of the activities, and not just more or less analytical descriptions. So, by all means, read Morgan’s book. It’s in many ways a superb book. As a detailed and well-informed case studies-based history it is definitely a proof of great scholarship. I’m sure it will be a classic in the history of modern economics – but – to get more on the question if the economists’ models really give truthful and valid explanations on things happening in the real world, also do read two other modern classics – Tony Lawson’s Economics and Reality (1997) and Nancy Cartwright’s Hunting Causes and Using Them (2009). People calling themselves ”New Keynesians” – a gross misnomer – ought to be rather embarrassed by the fact that the kind of microfounded dynamic stochastic general equilibrium models they use, cannot incorporate such a basic fact of reality as involuntary unemployment! The vertical axis shows how much a one percent rise in the income of your father affects your expected income (the higher the number, the lower is the expected social mobility). 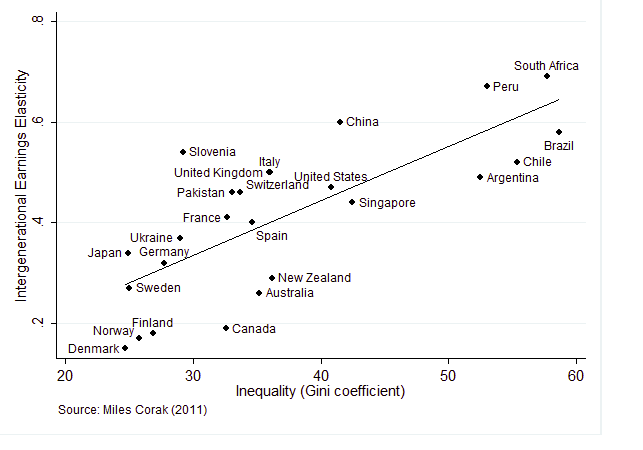 On the horizontal axis is the Gini coefficient, which is a measure of inequality (the higher the number, the higher is the inequality). Maria Ludvigsson skriver idag på SvD:s ledarsida att ”vinstfrågan är vår tids löntagarfondsstrid”. 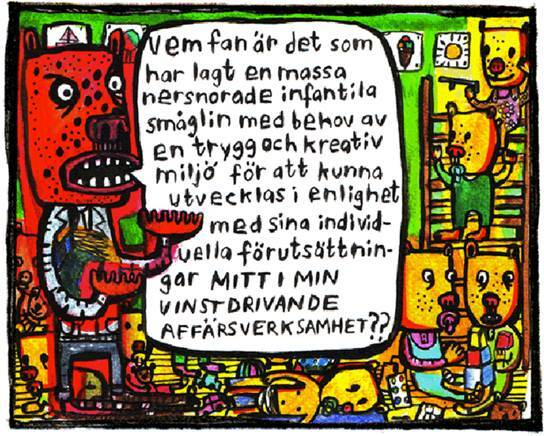 Så rätt, så rätt – och Sara Granér ger i sin teckning ett perspektivrikt svar på varför. The president of Germany’s Bundesbank – Jens Weidmann – yesterday quoted Goethe’s Faust to make his point on the new bond-buying policy of the European Central Bank. 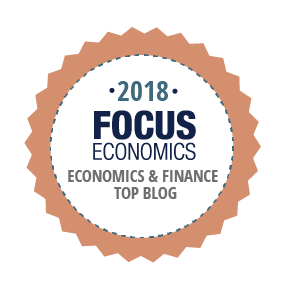 According to Weidmann, the play highlighted “the core problem of today’s paper money-based monetary policy” and the “potentially dangerous correlation of paper money creation, state financing and inflation”. While he did not make the comparison from Faust Part Two explicit, for Mr Weidmann there are clearly parallels with the performance of the ECB in trying to save the euro. Mr Weidmann has said the ECB plan, dubbed outright monetary transactions, or OMT, is “tantamount to financing governments by printing banknotes”. Mr Weidmann did not directly address ECB policy. But monetary policy independence and policy makers who target price stability were, he said, “necessary, but not sufficient, conditions” to maintain people’s trust in a currency. The ECB declined to suggest any literary precedents that might be used to make the case in favour of OMT. 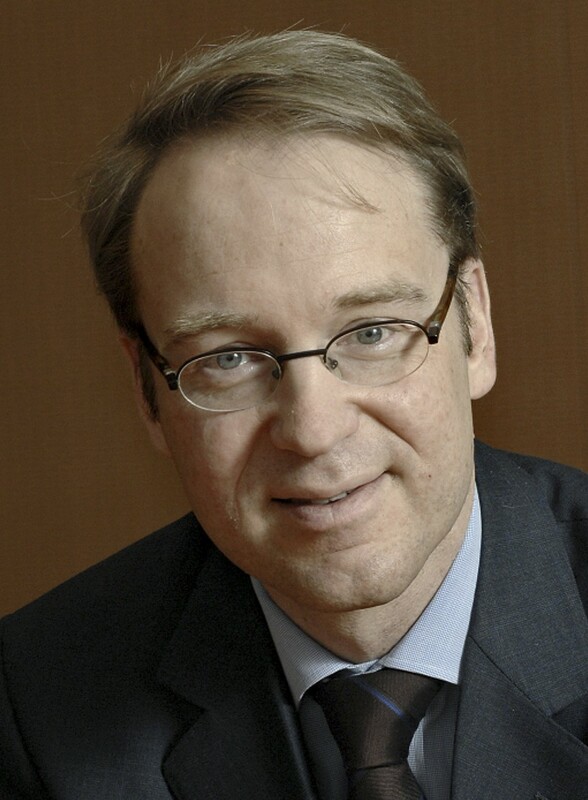 Mr Weidmann did not highlight another cautionary tale from the play for economists. Faust in the final earthbound scene comes up with a plan for universal prosperity and happiness … and promptly dies. The euro-zone is today facing the same kind of financial and economic problems that have trapped Japan for almost three decades. To even for a second believe that the new bond-buying policy of ECB would take the euro countries out of the deep recession that a single currency and concomitant austerity policies have placed these countries in, is a belief without any other foundation than hope itself. Bond-buying may be good, but it’s certainly not good enough to keep the defenseless uncompetitive periphery countries of the euro-zone from falling deeper in to the pit, since the painful adjustment costs in face of the intermittent asymmetric disturbances that hit the euro-zone will not be much effected. And the same goes for the ECB and the euro-zone. The recovery of the euro-zone – with or without a bond-buying ECB – is still not in sight. As long as ECB is bound to its inflation objective – ”below, but close to, 2%” – there can’t be any real hope for solving the economic and financial quagmire that this gobsmackingly stupid price stability goal has put half of Europe in. Added: And, of course, we shouldn’t forget that the ECB is conditioning its purchasing of government bonds on budget cuts in the peripheral countries. Cuts that will only make it even harder to get out of the euro pit. It’s really a perverse policy since it basically asks these countries to sink even deeper into the austerity pit before the ECB will try to help them out of it with fresh cash. Unbelievable! And so wrong, so wrong. So now you know that, all you elderly, students and unemployed. 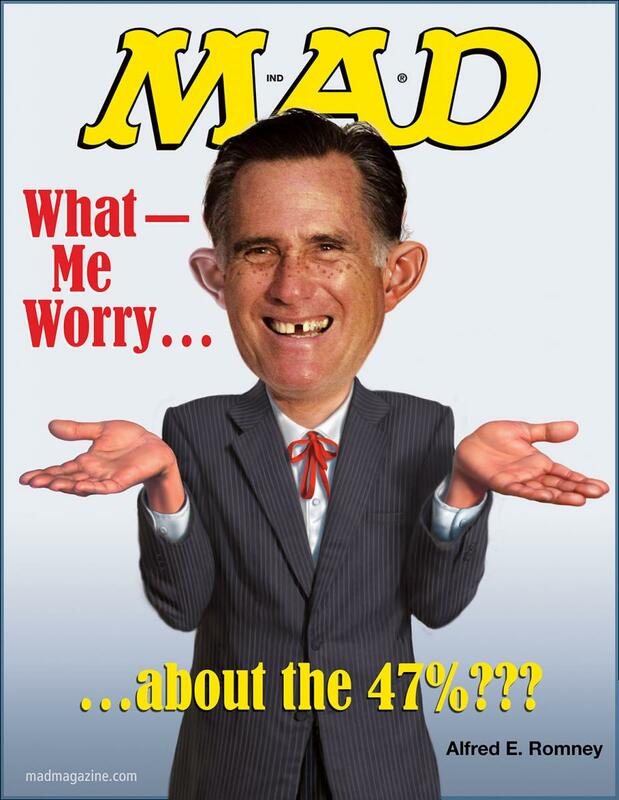 Romney has just made it very easy for half of the Americans to vote. Rigorous models lacking relevance is not to be taken seriously. 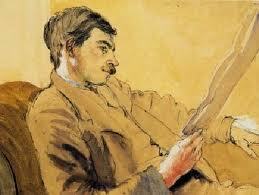 I would rather be vaguely right, than precisely wrong – as Keynes once put it. Förhoppningarna på Annie Lööf var skyhöga. Men efter ett år som ­partiledare är krisen för Centerpartiet djupare än någonsin. I den senaste mätningen från Aftonbladet/United Minds backar de till 3,3 procent. På söndag har Annie Lööf varit partiledare i ett år. Bemärkelsedagen hade kunnat firas med ljusare siffror. Parti­kamraternas förhoppningar om en ”Lööf-effekt” har grusats. I den senaste mätningen från Aftonbladet/United Minds tappar Centerpartiet drygt en tredjedel av sitt väljarstöd. 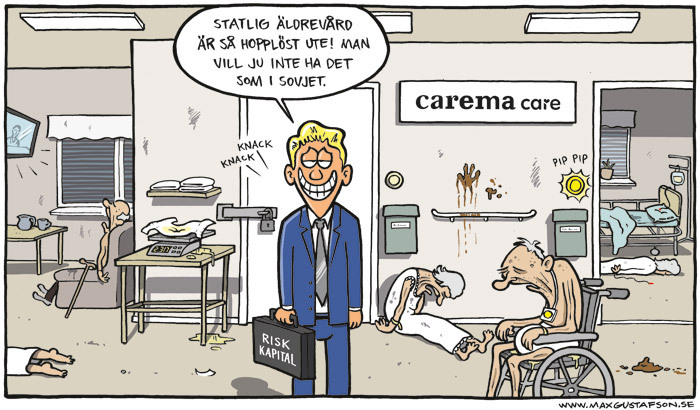 Det innebär att de för andra gången sedan i juni hamnar under riksdagsspärren. Förvånande? Egentligen inte, om man betänker vad denna vår egen Margaret Thatcher står för. Även om Annie Lööf inte är ensam ansvarig för centerns kräftgång, är det svårt att inte tolka siffrorna som att väljarna ger underkänt till Stureplansmaffian och dess fullföljande av Maud Olofssons omdaning av centerpartiet till ett nyliberalt högerparti. Annie Lööf-effekten har uteblivit. Och det med rätta. Ska centerna ha en chans att sitta kvar i riksdagen är det hög tid att man vänder skutan tillbaka mot centerns ursprung som ett landsbygds- och miljöparti. 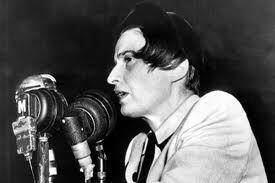 Nyliberal dumdryghet med idoler och förebilder som Ayn Rand och Margaret Thatcher ger inga röster i 2000-talets Sverige. Även andra storskaliga ekonomiska experiment har tappat färgen. Det handlar om idén att marknaden – den osynliga handen – är överlägsen när det gäller att allokera kapital dit det ger bäst långsiktig avkastning, och att avreglera och konkurrensutsätta verksamhet är det saliggörande medlet för att skapa ekonomisk effektivitet och kreativ förnyelse. Med ekonomijournalister som Per Lindvall och Andreas Cervenka har SvD etablerat sig som en av ytterst få tidningar i Sverige som bedriver ekonomisk journalistik värd namnet. Alla vi som sedan länge tröttnat på övriga mediers tyckmyckentrutade nonsens bockar och bugar!